The second tea I ordered in my recent order from T2 was their Chai. 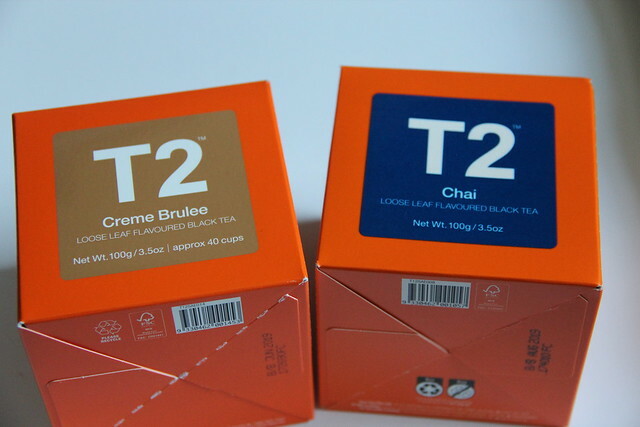 From the website, T2 Chai includes black tea, cloves, cardamon, star anise, cinnamon, ginger, natural and artificial flavor. 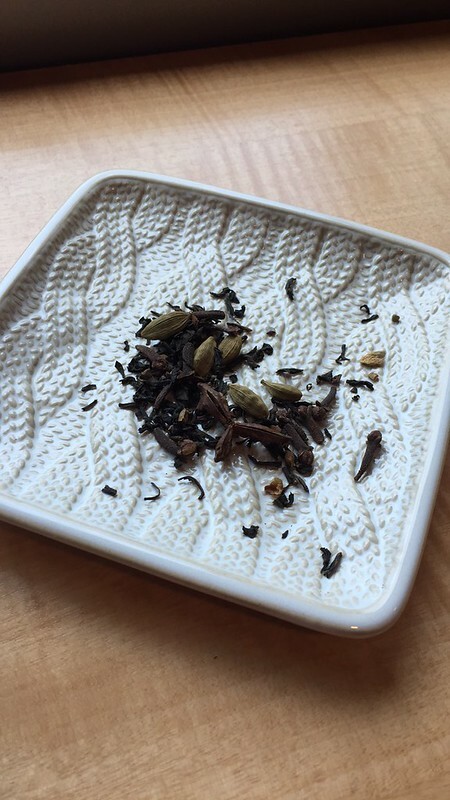 Chai comes in two sizes: a 100g cube for $13.00 or 250g for $31.00. When I opened the package I was quite impressed with the tea. Not only did it smell amazing, but there were full pods of cardamom and star anise in the tea. This one didn’t disappoint – it was quite strong and spicy which is just the way I like Chai. I’ll definitely be keeping this one on my list of favorite Chais for the future and would highly recommend it if you like strong spicy tea. Ooo that could be delicious!